I had an opportunity to test out a personal locator, the Bushnell Back Track D-Tour GPS thanks to Johnson over at Optics Planet Inc. I wanted to see if this device can help you find your way home in case of emergency or when out in the country. Loaded three AAA batteries into the back of the unit. Went outside, pressed the POWER button, and waited for the satellite signal to come up. It took a few minutes to find the satellite, just like any regular GPS unit. Flag or Target to choose from. We chose Home for this test. We drove out for a distance to a wooded area and parked the car. As we walked, we looked at what types of information is given by the device: digital compass, latitude and longitude coordinates, distances in yards/miles or meters/kilometers, time, temperature and altitude. As we went further away from the “home” starting point, it tells how far you’ve gone, and how fast you’re going. Mr. Apt Prepper and I were walking a normal pace of about three miles per hour. So we figured if we were 20 miles away from home it would take us approximately seven hours to get home on foot. After a while we decided to head back to where we started. To return to a location, just select the icon and the Bushnell points to the direction and shows the distance back to the location. – Help you find your car in a crowded parking lot like an airport or stadium. – Keep a record of trails taken for biking or hiking. The device comes with a USB attachment and can be connected to your computer to launch the D-Tour app. The app is an optional feature that allows you to store your trips, view maps, however you do need to log in with a password. – Locate hidden caches that you’ve pre-programmed. The Bushnell Back Track D-Tour GPS has a sturdy and durable construction. The screen has a nice size and I liked that you can see it clearly in bright sunlight. The buttons, which are located along the sides, can be a bit clunky as you are trying to grip the device at the same time. I should mention that the device should be kept at a horizontal position during use to ensure accuracy. You can program up to five locations. According to the product description, battery life can last 16-20 hours, which will outlast a smart phone, and up to 48 hours of trip data can be stored. Because if its rugged construction, you can use it in places where you don’t want to risk using your expensive smart phone, such as in biking or running trails, or while camping or hiking. This device would be ideal for anyone who needs a little help finding directions or who get turned around easily. 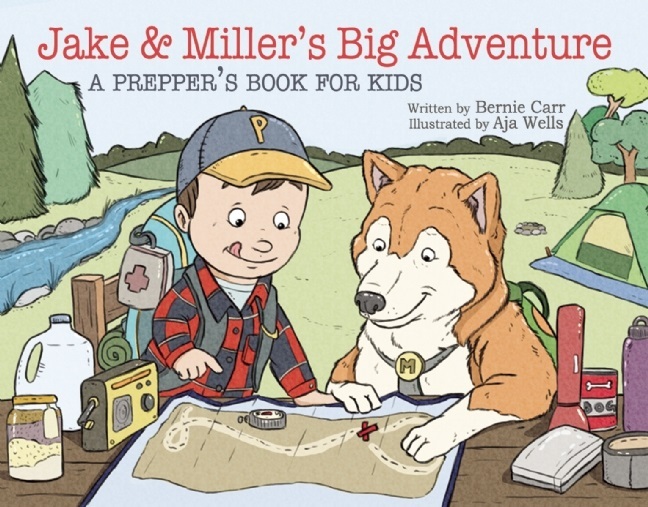 It would also be ideal for an older child or teen to carry around for emergencies in case they have to find their way back to a meeting place in times of emergency, or for a college student who is away at school. It would also be a helpful addition to a bug-out bag. (make sure you have backup batteries) Before an emergency happens, you’ll need to head to your various locations to pre-program it. 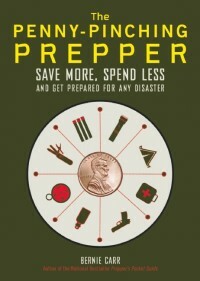 It would make a good gift for both prepper and non-preppers in your gift list. Article update 11/23/2013: Reader Bob S inquired whether the stored locations will reset if you replace the batteries. I finally got a chance to try it out: removed the batteries and replaced them, rode out to a new location and checked to see if it would point back to a previously stored location. The good news is, it actually did not lose the saved areas. When I turned it back on, and set it to “Home” (not my real home, just the place I had set it to) – as soon as it found the satellite, it pointed to the correct direction. Bob – Thanks for bringing this up! As with any GPS device, it is recommended you do not set your actual home as the home location but pick a point close to it and familiar enough anyone can proceed from there. Think of someone scooping up your bag while you are shopping and hitting ‘home’ – or worse, stealing your car and doing the same thing. Your stranded and the thug knows where you live. Good review and definitely a device I’ll have to consider. Like the idea we can program 5 locations — do you know if that stays in memory even if the batteries run down or have to be changed? Good question Bob, I am going to test this tomorrow and post an update. Thanks for bringing this up! NOT a really good idea to depend on a GPS device for this sort of thing! A retired USAF Intelligence Officer pointed out to me that since the government owns the GPS satellites, they can change the positioning data to a certain degree “in case of a terrorist event like Sept 11th”. While he wouldn’t give me any real specifics, he admitted that a quarter-mile difference “was possible”. It was explained to me that while a terrorist group might be able to accurately target their objectives on a first strike using our GPS technology against us, following strikes could be diverted “somewhat” and might miss their objectives entirely – which could make a difference between “destroyed”, “damaged”, or “missed completely”. Think about how (relatively) small a bridge is – and you’ll realize what this means. So, in the event of an emergency, anyone depending on their GPS data to find a hidden cache might be looking for it in the wrong place! I agree, it’s a nice tool but you still need a map and compass as backup. Would have to wonder what huge disaster was going on if the satellites all go down-there are around 28 satellites, on solar power, and all with backup. Thanks Paul-L. If you are going to get one of these devices, get the top of the line variety. The lower dollar ones are less than bug proof. I do like the idea though.